Weather Rain later this afternoon and this evening and breezy starting this evening. 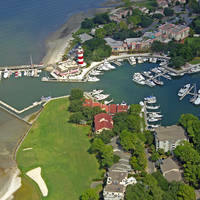 Coffee Bluff Marina is conveniently located on the southside of Savannah in a scenic, historic and quiet setting away from traffic and congestion. 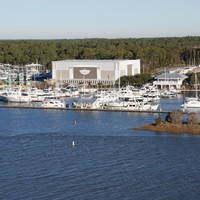 Coffee Bluff Marina is a full service marina. We currently sell fuel, live bait, frozen bait, fishing tackle, hats, T-shirts, ice and concessions. The newly constructed marina has a brand new boat hoist rated for 20,000 lbs and state-of-the-art extra-wide cement floating docks. Wet slips are available for nightly, monthly or yearly lease as well as dry storage. The marina also has brand new aluminum ramps for easy dock access including a handicap ramp that offers very relaxed slopes at all tides. The marina currently carries ethanol free marine gas, which is available at a pump on the docks as well as a pump on land. Diesel fuel is also available on the dock. 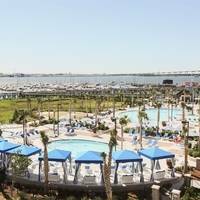 In July of 2015, Metzger Marine Services took over management and operation of the marina for the City of Savannah. Each week, more items are being added to the store, so please stop by and see what we have to offer! Also, please follow us on Facebook to see upcoming events, changes to hours of operation, more photos, and much more! No reviews yet! Be the first to write a review of Coffee Bluff Marina.